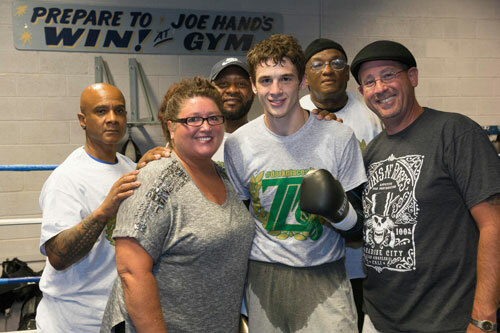 Thomas “Cornflake” LaManna, 21-1, 9 KOs, on the verge of his meeting with DC’s Dusty Hernandez Harrison, 29-0-1, 16 KOs, knows he’s in a must-win situation. The two will square off Thursday night in the 10-round main event at the 2300 Arena in South Philly. The vacant USBA welterweight title will be on the line and the fight will be nationally televised by the CBS Sports Network. 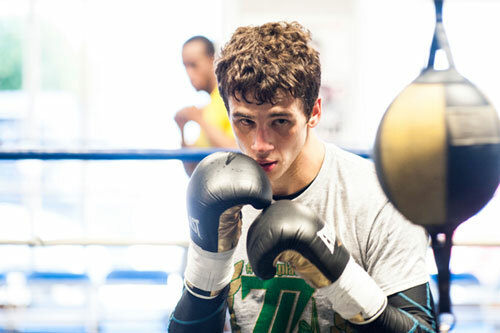 Although he’s just a 24 year old, 22-bout prospect, LaManna says that failure against Harrison would be quite damaging at this point in his career. LaManna has more or less cruised through the majority of his professional run. However, the last time he seriously stepped up, against a streaking Antoine Douglas eighteen months ago, things didn’t go well. Douglas dominated the bout and dished LaManna his first defeat, a TKO in round six. That bout was nationally televised on Showtime’s ShowBox series. 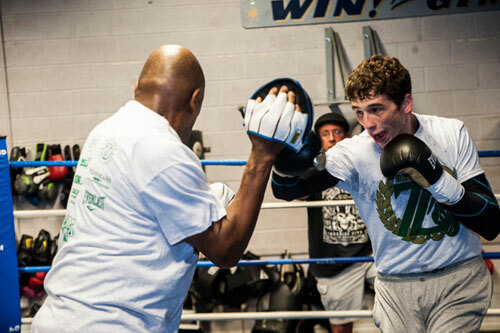 The setback sent LaManna back to the drawing board. 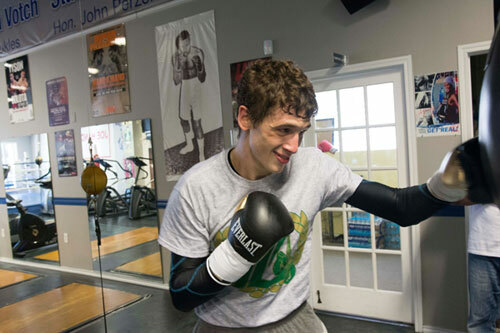 He moved down to the welterweight division and began rebuilding his career. Five wins have followed, and now Cornflake finds himself in his toughest match since the Douglas fight. He knows that another misstep would seriously damage his reputation and prevent his move up the rankings. Harrison is a familiar opponent to LaManna. Although the two have never engaged in an official fight, they have sparred each other in the past. Opinions on who had the upper hand in that sparring session is conflicted, but everyone hopes that the history between the two will make their actual fight even better. In the past couple of years, Harrison has been making some noise. However, LaManna feels confident that he’ll go into the fight with the edge over Harrison. 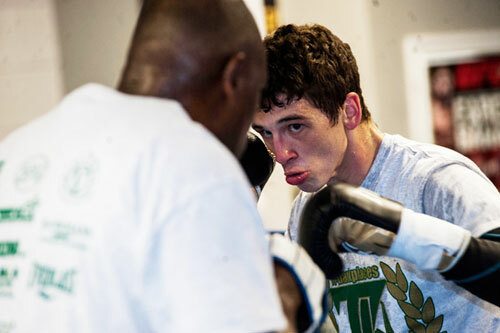 Harrison is known to be aggressive and fights at fast pace, but LaManna expects to see a different Dusty. Consistent with his thoughts on going ten rounds, LaManna did not adjust his training for the extra distance he might see on Thursday night. LaManna says that his move down to welterweight was the right one. LaManna was originally supposed to fight Harrison one day later and about 70 miles east, at the Taj Mahal in Atlantic City. However, the announcement that the casino would be the latest AC gambling joint to close for business forced a change in venue and date for the LaManna-Harrison fight. The winner of the bout goes home with the USBA welterweight title, and a ticket into the rankings. 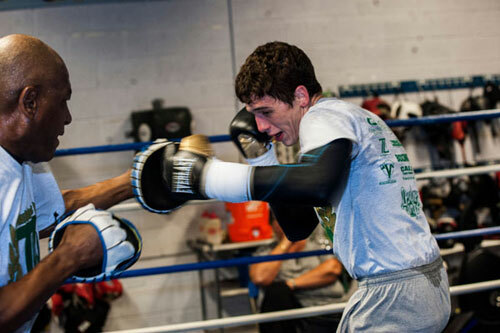 LaManna is good friends with newly crowned WBA junior lightweight champion Jason Sosa, and the idea of winning a belt of his own is a big incentive for LaManna. And LaManna likes his chances of bringing home that belt. 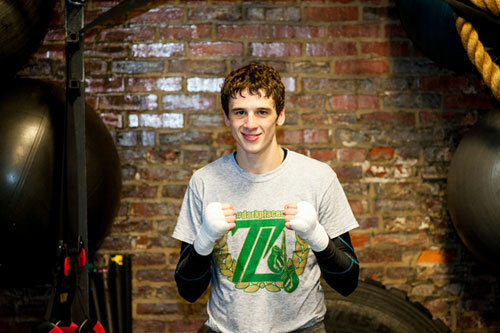 Although, most of LaManna’s fights have taken place in Atlantic City, LaManna is no stranger to the 2300 Arena. 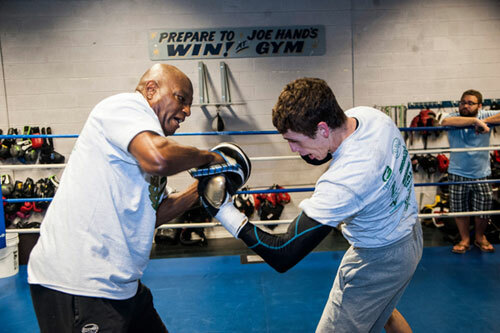 With most boxing cards happening on the weekend, the LaManna-Harrison show will be on a rare Thursday night. A win over Harrison puts LaManna in the ratings and keeps him moving forward, but all of his focus remains aimed at Thursday night. Just a few more days remain until the fight.